Aphids in enormous numbers found the lovage. Then the ladybugs found the aphids. Two days later both the aphids and the ladybugs were gone and the lovage went on with its business of ripening seed. How do these tiny insects find their feeding grounds in this enormous world? The whole ordeal never ceases to amaze me in all its simultaneous drama and simplicity. 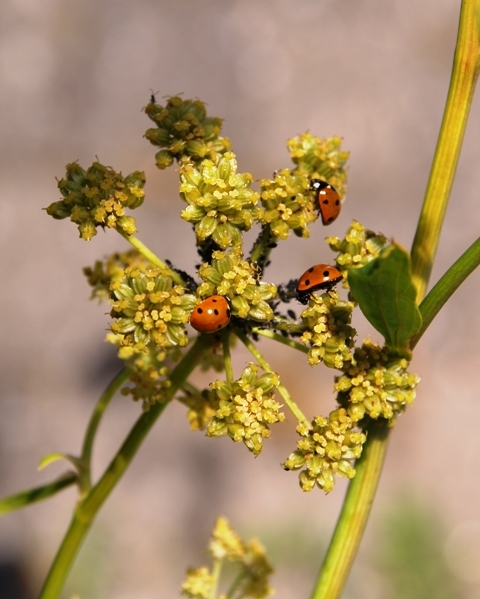 Ladybugs feeding on aphids feeding on lovage. 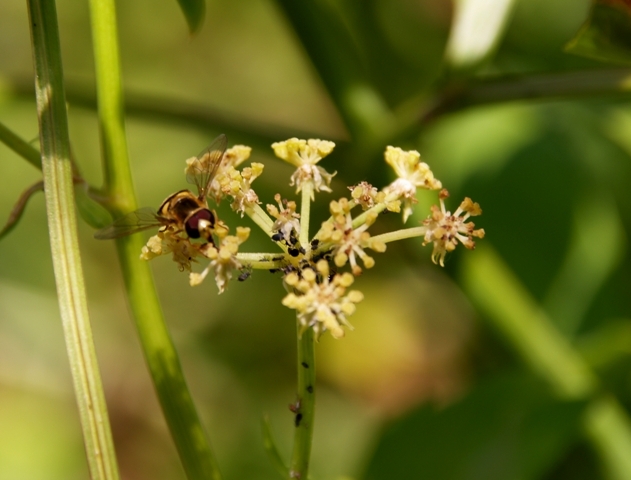 Hoverflies have found the lovage too. It’s a feast for (wo)man and beast.